When most of us think of the outdoor activities that Alaskans love, we tend to think of hiking, biking, skiing, and skating. On the next Outdoor Explorer, we talk about one not so common Alaskan outdoor activity, surfing – we talk about where to do it and how to get started as a beginner. We also talk about a more common outdoor activity, hiking, and how one woman prepared for her trek up Mt. Kilimanjaro by hiking in Southcentral Alaska. Segment 1: “The Surfing Midwife.” Elke Saunders. 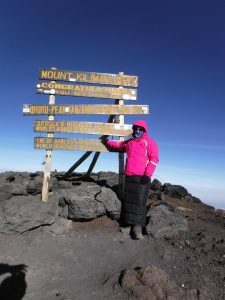 Segment 2: “Hiking in Southcentral to Prepare for Kilimanjaro.” Valerie Flynn.